The Val d’Aran was one of the main entry routes for refugees, whether via the customs office at Pont de Rei or via the mountain paths that led from the French departments of Haute-Garonne and Ariège. 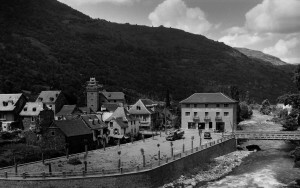 This was the main point of arrival for escaping Jews who arrived via the customs office of Pont de Rei or secretly made their way through the mountain passes near the village. The police station that was responsible for checking passports and the movement of merchandise was also located in Les. 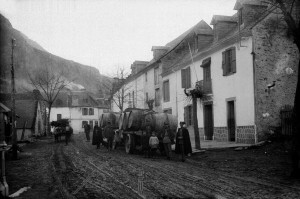 This police station was responsible for expelling hundreds of Jews detained in the Val d’Aran and El Pallars Sobirà to France, though others were allowed to stay at the Hotel Franco-Español. For all of these refugees, the Lleida Pyrenees were the penultimate obstacle separating them from freedom.